Ron Webb was born in 1937 in Trenton, New Jersey. He was commissioned a 2d Lt in the U.S. Air Force through the Air Force ROTC program at Indiana University on January 22, 1960, and went on active duty beginning March 17, 1960. Lt Webb next completed Undergraduate Navigator Training and was awarded his navigator wings at James Connally AFB, Texas, in March 1961, and he then served as a KB-50 Superfortress navigator with the 429th Air Refueling Squadron at Langley AFB, Virginia, from April 1961 to October 1963. His next assignment was as a KB-50 navigator with the 431st Air Refueling Squadron at Biggs AFB, Texas, from October 1963 to April 1965, followed by Undergraduate Pilot Training at Williams AFB, Arizona, where he received his pilot wings in June 1966. After completing Pilot Systems Operator training and F-4 Phantom II Combat Crew Training, Capt Webb served as an F-4 pilot with the 390th Tactical Fighter Squadron at DaNang AB, South Vietnam, from March 1967 until he was forced to eject over North Vietnam and was taken as a Prisoner of War on June 11, 1967. After spending 2,094 days in captivity, Maj Webb was released during Operation Homecoming on March 4, 1973. He was briefly hospitalized to recover from his injuries at Andrews AFB, Maryland, and then attended Armed Forces Staff College at Norfolk, Virginia, from August 1973 to May 1974. He then served as a T-39 Sabreliner pilot at Langley AFB, Virginia, from May to October 1974, followed by service as a staff intelligence applications officer with Headquarters Tactical Air Command at Langley from October 1974 to November 1975. His next assignment was as Chief of the Intelligence Division with the 1st Tactical Fighter Wing at Langley AFB from November 1975 to August 1977. Col Webb then attended the Industrial College of the Armed Forces from August 1977 to July 1978, followed by service as an aviation intelligence operations officer with the Federal Aviation Administration in Washington, D.C., from July 1978 to September 1982. His final assignment was as Director of the Joint Services Support Directorate with the Air Force Intelligence Service at Fort Belvoir, Virginia, from September 1982 until his retirement from the Air Force on May 1, 1985. 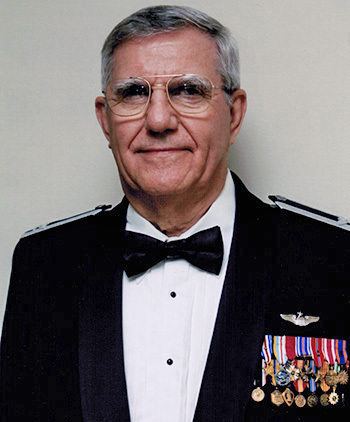 After leaving the Air Force, Ron served as Executive Director of Kappa Sigma Fraternity from 1985 to 1987, and served in various assignments with the FAA between 1988 and 1995. 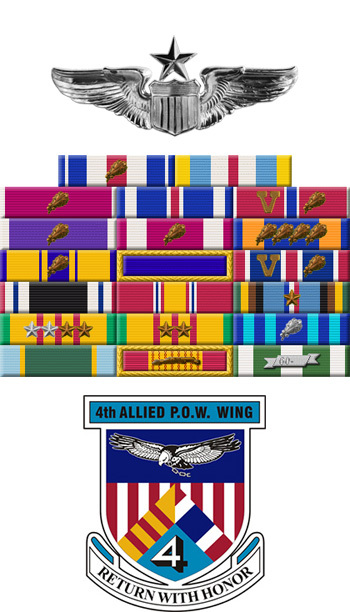 Captain Ronald J. Webb distinguished himself by gallantry in connection with military operations against an opposing armed force as an F-4C Pilot over Southeast Asia on 11 June 1967. On that date, Captain Webb successfully protected five flights of F-105 aircraft from hostile attack while they were delivering ordnance on an important military target in this dangerous and highly defended area. By his gallantry and devotion to duty, Captain Webb has reflected great credit upon himself and the United States Air Force.